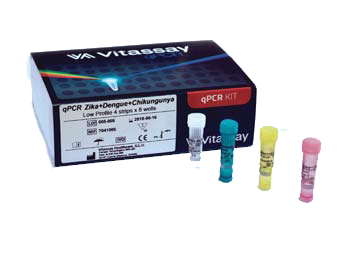 Vitasay H. pylori + Transferrin single test based on the same sample allows us to have a presumptive result of a diagnosis to be able to detect these two pathogens simultaneously. This is the fastest way to get two positive results from the same sample. Rapid tests not require specialized laboratory and trained personnel making can be used anywhere. Besides these rapid tests prevent us wait hours to get a result. It is therefore a good way to optimize time before doing a diagnosis.